Paracetamol is a commonly prescribed drug in Medical practice. It is rapidly absorbed on oral intake and metabolized to sulph and glucoronide group. Small amount is excreted in Urine. 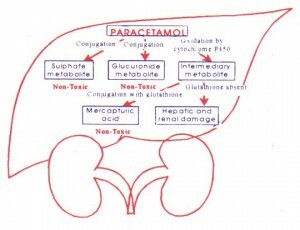 Paracetamol is Metabolised to NABQI ( N- Acetyl –p-BenzoQuinimine) . Glutathione detoxifies it into Mercatopuric acid which is excreted in urine. At Toxic Level, when >70 % of Glutathione is depleted , NABQI combines with Hepatic Macromolecules causing hepatocellular damage. Stage I ( within 24 hours) : Anorexia, Nausea/vomiting, malaise,pallor,diaphoresis. Stage II ( 24-48 hours): Resolution of symptoms of stage I. Rt. Upper quadrant pain, Deranged LFT, Oliguria, tachycardia, hypotension. 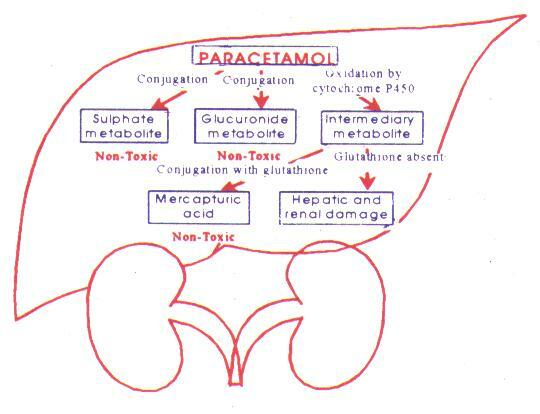 Stage III (72-96 hours) : LFT abnormal peak, coagulopathy, hepatic encephalopathy, renal failure. Stage IV (4 days-2 weeks ) : Resolution of hepatic dysfunction, resolution of organ failure. Serum ALT/AST more than 1000IU/L- toxicity defined. Serum Glucose, PT and Bilirubin, hepatic enzymes. Urine analysis for proteinuria and hematuria – ATN. pH, Serum Creatinine, PT, Lactate. 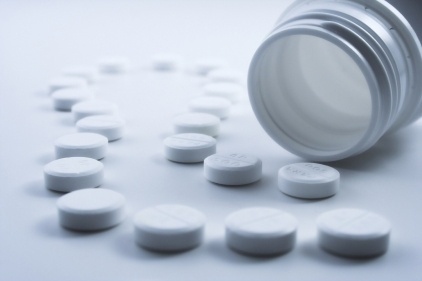 Toxic Dose – 200mg/kg in children or 7.5 gm at once in adolescents. Small amount ingestion needs only observation. Specific Antidote : N-acetyl cysteine(NAC), which is a precursor for glutathione synthesis. 140mg/kg Loading dose, then 70mg/kg 4 hourly for 3 days. Methionine can also be used. my research about hepatoprotective effect of water extract of mesona palustris BL(caincau hitam:tradisional indonesia drink)on hepatic damage induce by paracetamol toxic dose.